Incontro Italiano Podcast 380 | Gli artisti del restauro - Intervista | Maxmondo Incontro Italiano - Learn Italian ! 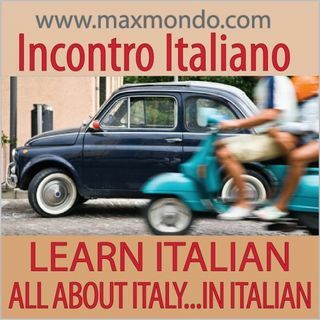 Da: Maxmondo Incontro Italiano - Learn Italian ! Learn Italian with Maxmondo - Incontro Italiano, l'audio-rivista per conoscere meglio l'italiano e l'Italia - www.maxmondo.com - All about Italy in Italian - This podcast is a summary of Incontro Italiano audio-magazine. The full audio and accompanying digital magazine are available for subscribers from the website. The magazine contains the complete transcript of the audio and additional vocabulary and exercises to help you learn Italian and get to know Italy.